HW Conveyancing Searches are a specialist provider of searches to the conveyancing industry with a wealth of knowledge and expertise ready to facilitate all your search requirements. We understand the pressures that property transactions bring so we are here to make the process as seamless and painless as possible for you and your clients. With strongholds in Hampshire, Isle of Wight and Devon accompanied by a national network of independent agents, we are here to help with any property. Client care is very important to us and we pride ourselves on the extra level of service that we bring straight to your office. We will ensure that you know the best brands and products on the market as well as introduce you to new companies and searches, extending the suite of information available to your client when choosing their new home. Being a CPD training and information provider, we will keep you updated on all the latest issues and figures from the industry with regular email updates as well as free seminars for our clients. The HW website provides a complete online ordering platform for all your conveyancing needs. 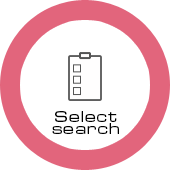 Once registered, your order area will offer your regularly ordered searches in handy “packs” to simplify the process, as well as clearly showing all of the searches and reports in our extensive range. If you don’t have a plan, we will provide one to you free of charge – we want your ordering experience to be as smooth and stress-free as possible! Once ordered, you will receive a confirmation and an ETA, with the searches being sent by email as soon as we possibly can. Payment is made only after all searches have been received, by any method you choose. Our clients love our smooth online ordering service, but we value the human touch too. If you call our office, you will always speak with a knowledgeable team member who can manage your queries immediately and effectively. We have all relevant insurance and accreditation by all of the trade organisations, and are proud member of The Search Code. We are confident that you will find our service second to none. 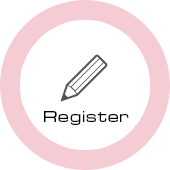 If you would like to learn more and find out about registering with us then just drop us a line on 023 9283 1777 or complete our contact form and we will get back to you.